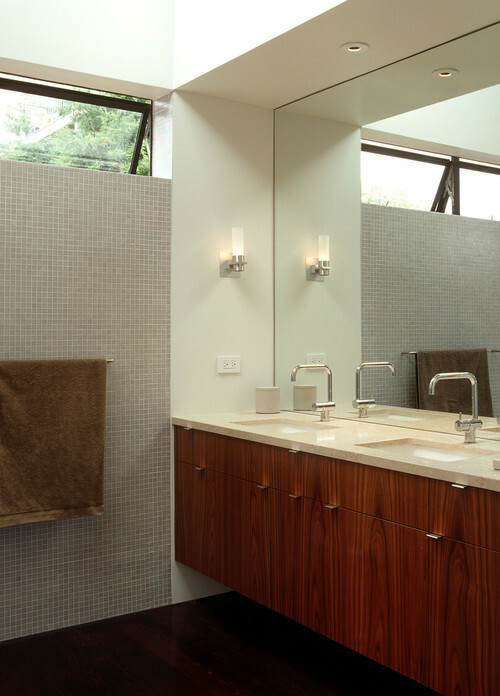 In many downsized homes, bathrooms inevitably get smaller too…so how can you make them appear more spacious? The answer : get that vanity up off the floor. 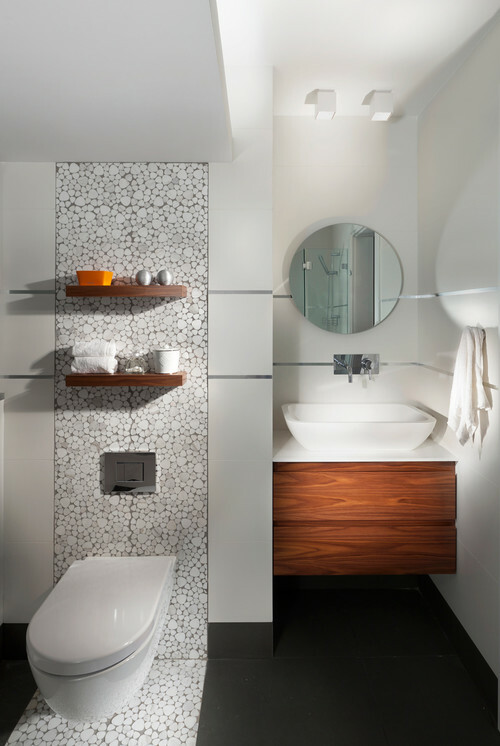 Wall mounted sinks and storage not only make the bathroom easier to clean they visually trick the eye by revealing more floor space – instantly the room feels more open! 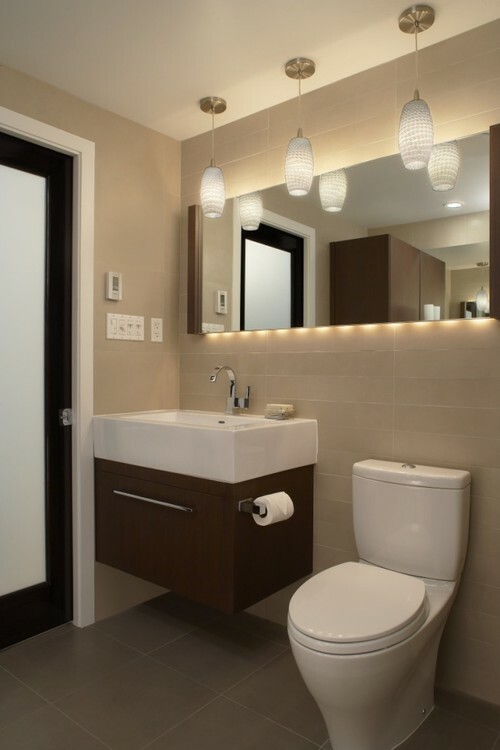 The vanities at our 555 townhouses are all like this and people always wonder why…it’s smart design! Pretty cool right? 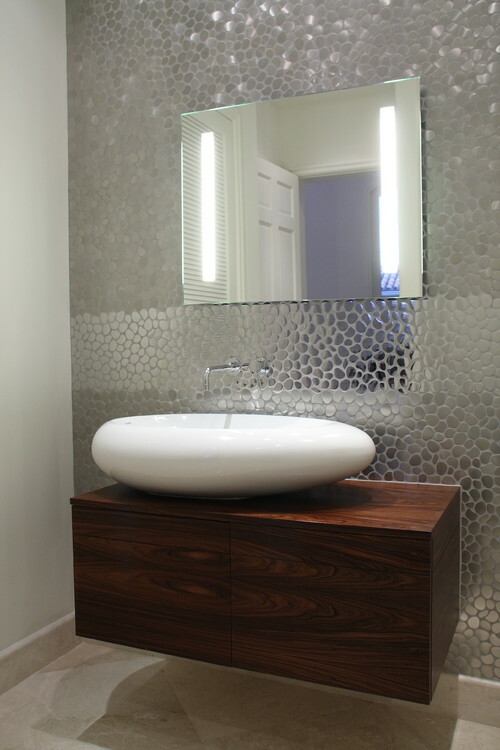 Would you consider one for your downsized bathroom? 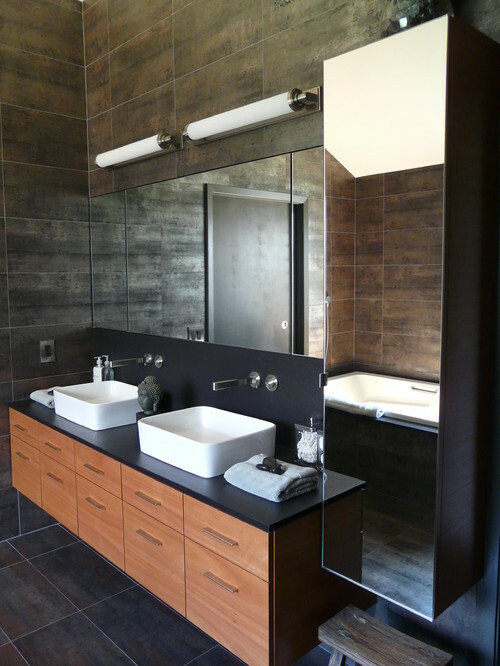 If so, you might want to take a peek at Ronbow – they carry a wonderful line of these space-saving vanities.